You can use a Google account login ID to access gw-astronomy.org services. You may use one that you already have, or create a new one. There are instructions for creating a Google account here. You can find out more about why we use Google as our social media login here. 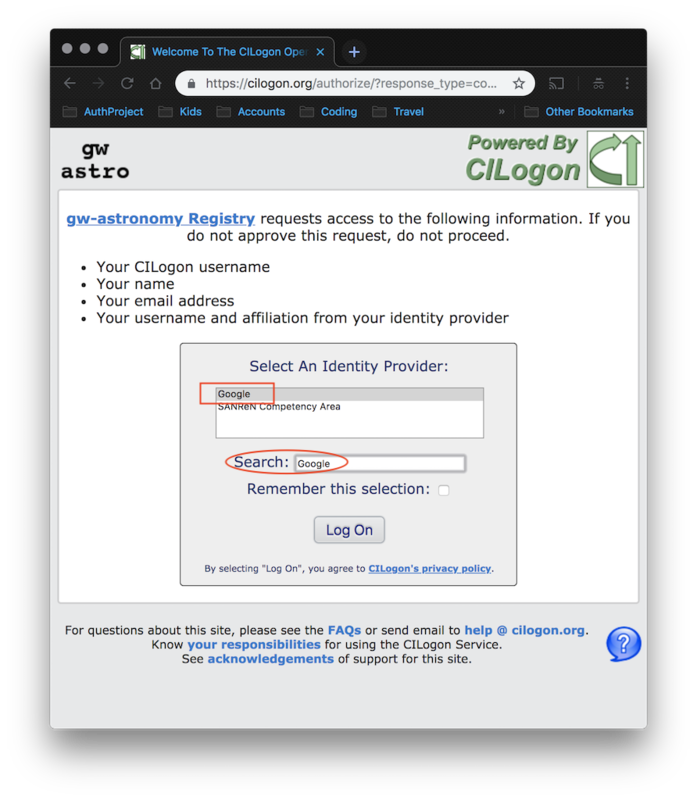 Once you have a Google login id and password with which to register for gw-astronomy.org, your can type Google into the search box on the login page and select Google from the list to login.